It's the Durian Season again! My family and I are durian lovers! I am glad Little Travis is also loving it! The durian stalls are so popular till you have to pre-order and queue to collect the delicious durian! Pre-order still need to queue! My goodness! Some stalls have limited supply. Hence, if you didn't pre-order, you can't even buy any! I heard of friends starting to buy online. Save the time and effort. 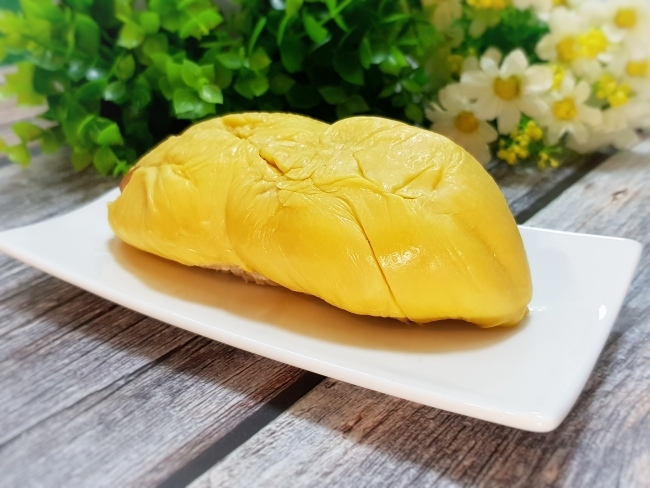 This is indeed a great alternative for busy Durian Lovers that prefer to wait for their delicious durian in the comforts of their home! 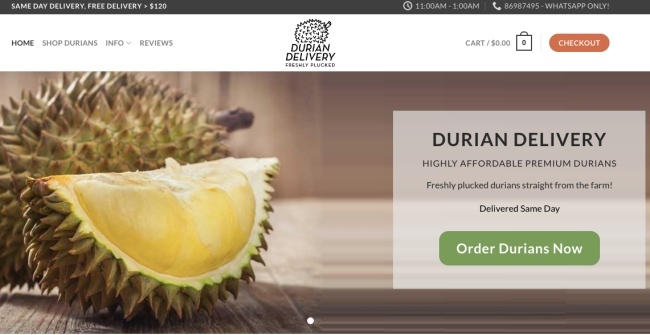 DURIAN DELIVERY SINGAPORE (duriandelivery.com.sg) offers FRESH DURIANS delivered straight from the farm within the same day! 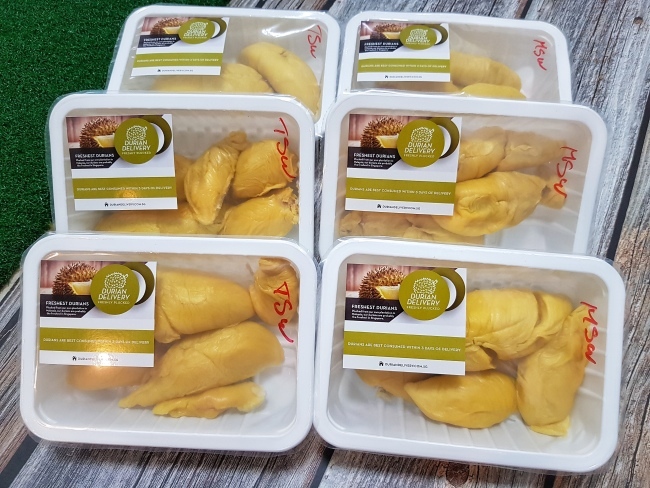 They have a dedicated durian delivery fleet which will deliver the durians directly from their plantation to the packing area in Singapore. You can find the more details on their delivery here. Often, we are skeptical of the quality of products buy online. 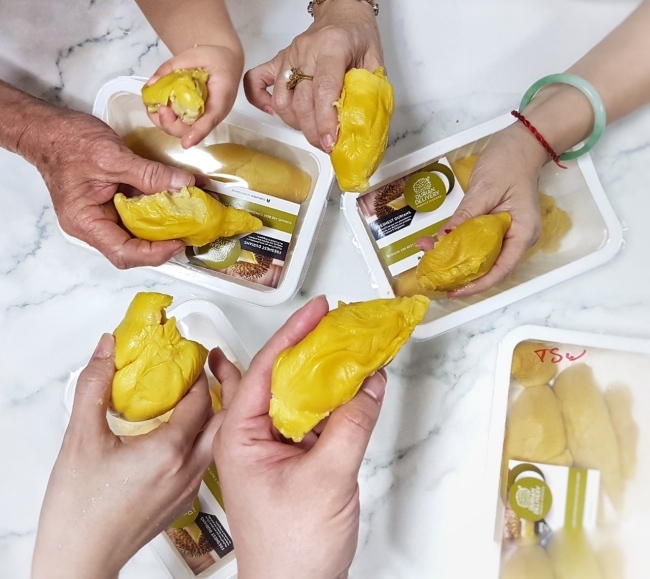 However, you will not need to worry about the durians purchased from Durian Delivery Singapore as they offer 100% Money Back Guarantee (包吃)! If you receive unripe/sour/watery durians, you can choose from either a full refund or durian replacement. You can find the more details on their 100% Money Back Guarantee here. We tried the 2 different types of Durian from them. 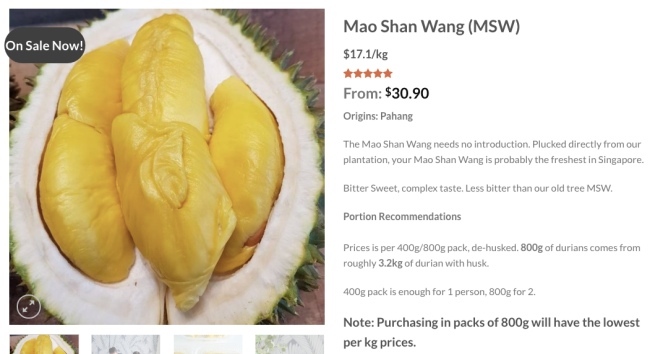 The MAO SHAN WANG Durian Hand-Picked from the Old Tree and Mao Shan Wang (MSW). The durian from the Old Tree MSW durian has a richer flavour with a stronger bitter sweet after taste as compared with the normal Mao Shan Wang. More suitable for people who really love the bitter sweet. Both types are deliciously creamy. I will recommend to order both types to try! Haha You must really try 2 different types at the same time to notice the difference. 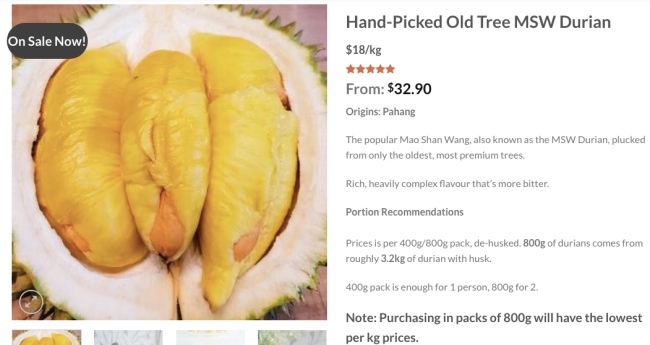 1) Hand-Picked Old Tree MSW Durian. MY FAVOURITE! - Their prices are per 400g of de-husked durians, not in per kg price. - Prices is per 400g/800g pack, de-husked. 800g of durians comes from roughly 3.2kg of durian with husk. My family love the durians! See how Travis enjoy it!~ Ha ha He was so upset when I stopped feeing him! 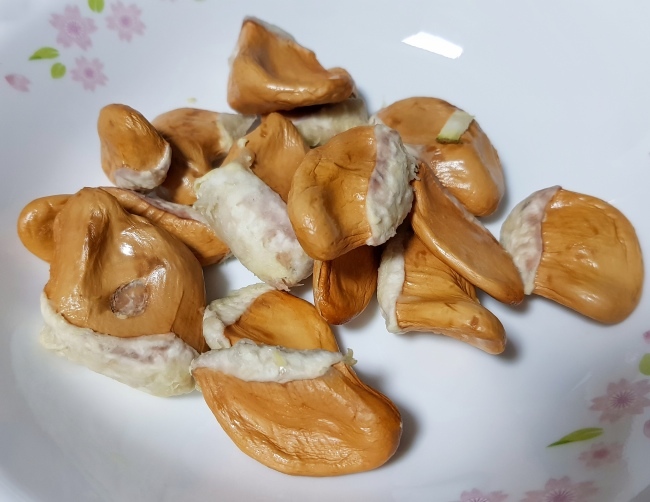 The seeds were all so fresh and fleshy! So Creamy and Delicious! Above information is for reference only. Hop on to DURIAN DELIVERY SINGAPORE (duriandelivery.com.sg) for more information.